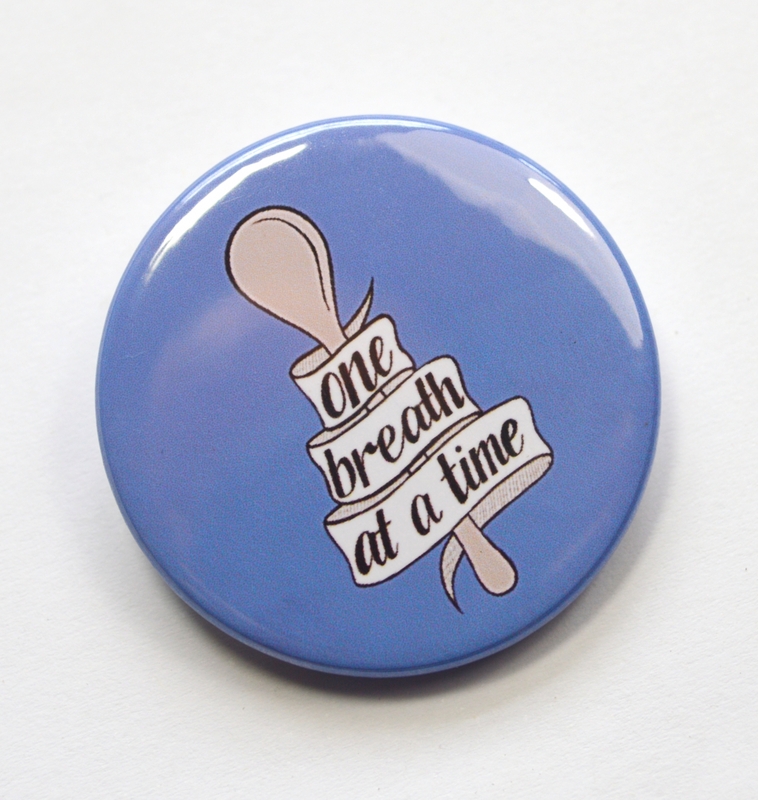 If you're not familar with the Spoon Theory of chronic illness, hop on over and read "But You Don't Look Sick" by Christine Miserandino. 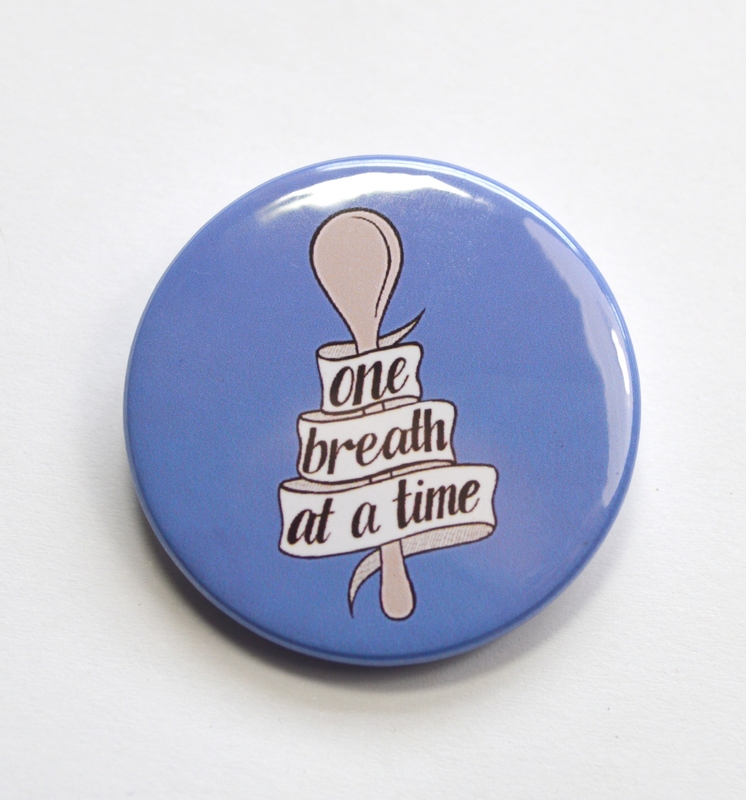 For my fellow spoonies, this badge is intended to serve as a talisman in those times when getting to the next moment seems simply too hard. It's a warding charm against unhelpful doctors, unruly brains, and those who make you feel less extraordinary than you are. 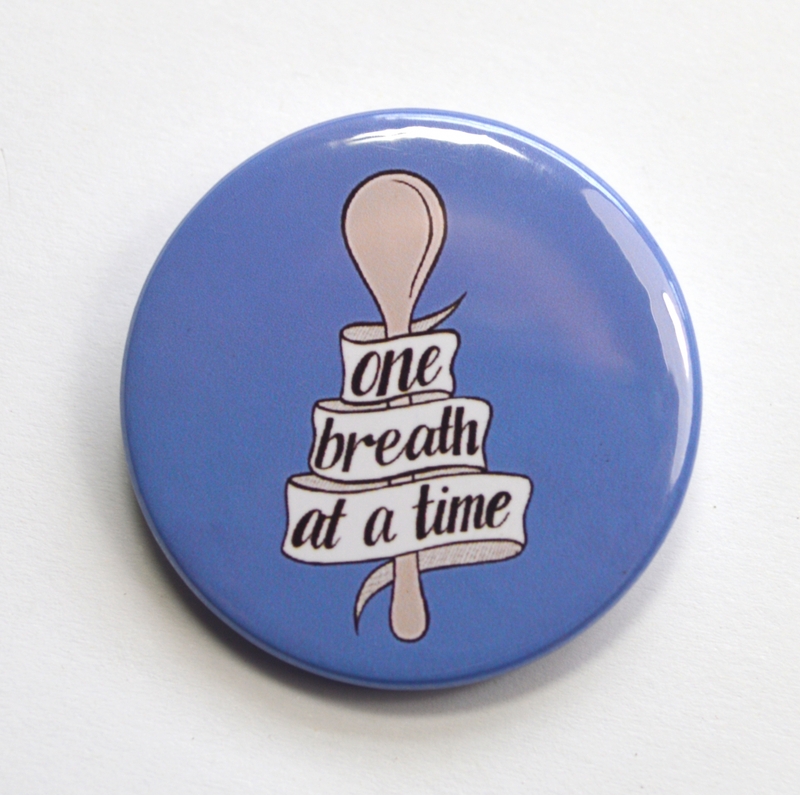 Sometimes you just gotta take it one breath at a time. 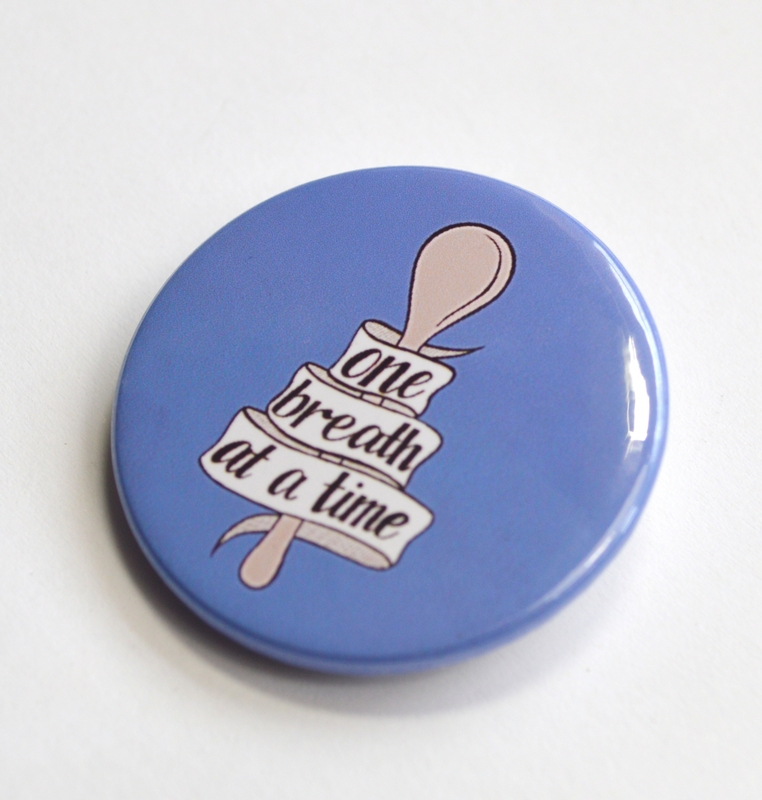 This badge features a banner that reads "One Breath At A Time" wrapped around a spoon, on a periwinkle background. 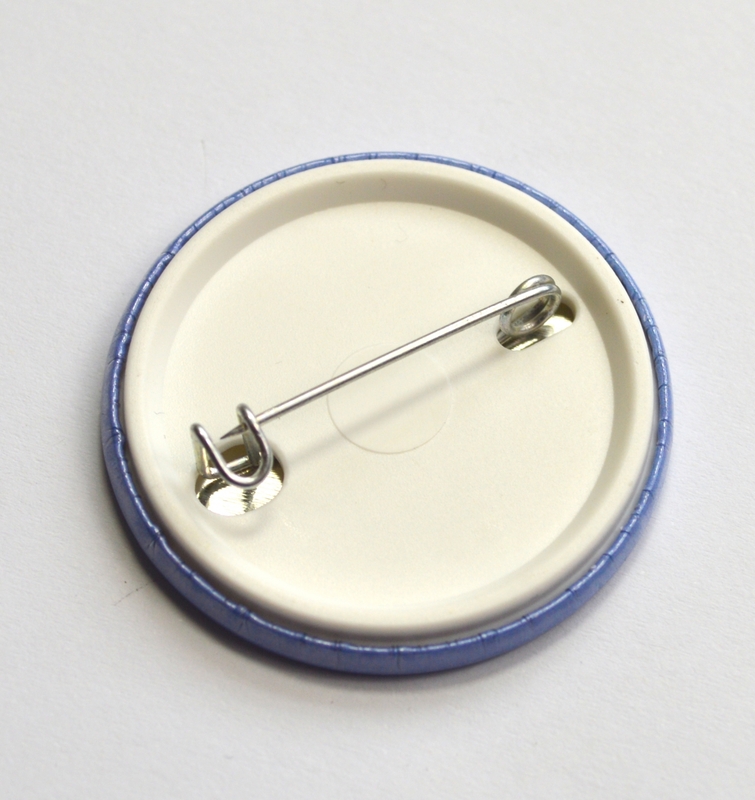 It measures 38mm and fastens with a sturdy safety style pin.